I’m a fan of online lab testing? It’s an amazing opportunity you could be taking advantage of to make your life easier and to save money. Case in point – have you ever tried to get your doctor to order specific testing, but came away frustrated and discouraged? Enter True Health Labs, an online site for all you DIYers out there that like taking matters into your own hands. Here we go! True Health Lab’s mission is to provide their customers with a convenient, affordable, confidential, and easy way to order their own lab tests online. Blood draws take place at a lab, local to the customer, thanks to True Health Lab’s affiliation with CLIA certified laboratories. Getting your blood drawn at one of these locations is quick, easy, and headache-free. 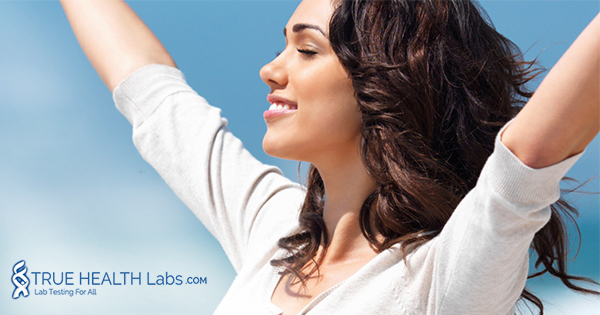 The purpose of hassle-free lab testing is the ability to monitor your own health. After receiving your lab results, you can make adjustments based on the findings, in order to live the healthiest and most productive life possible. 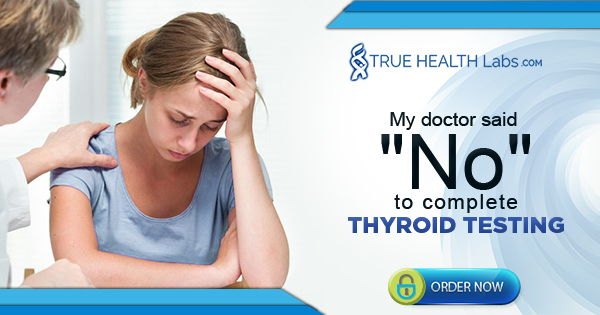 True Health Labs is dedicated to helping you help yourself. Taking control of your own health has never been more convenient. Those who are uninsured or who don’t have adequate health insurance, can now receive quality testing online. Or for those who have gone to their doctor hoping to receive an order for specific testing, but instead left feeling like they didn’t have a say in their own care. Online health testing is tailor-made for you, and anyone else wishing to make their own healthcare decisions. This is the way it should be! It’s a true health revolution because revolution brings about beneficial and much-needed change. After all, it is the 21st century. Direct-to-the public lab testing is easy to use. True Health labs is a Direct Access Testing company, providing a variety of labs from CLIA certified laboratories both internationally, and in the United States. Because thousands of tests are available, not all of them are posted online. You can build your own test panel if you can’t locate the test you desire. Take a look here. Requisition forms are used when ordering labs online. A requisition form is a document providing information about who is requesting the test, and details about the test itself. I’ll refer to these forms below so I wanted you to become familiar with what they are. 1. Begin by registering for an account with True Health Labs. 2. Browse the testing options based on your needs, and select the test you want to order. Keep in mind if you’re a European customer, not all tests are available in your country. 3. Find a draw location in your area for your particular test. This information is on True Health’s website. 4. Review the details on what you need to know after purchasing your test. This includes questions, such as, if you need to fast before getting the test, and if there is a fee for the draw. Each test has its own requirements. 5. Go to checkout and pay for your test. Within 24 hours after purchase, a requisition form will be emailed to you. A test kit will be mailed to you if you have requested a test requiring a saliva, urine, or stool sample, which are collected at home. Only blood testing requires a draw at a testing center. You can find this information next to “Specimen Type.” on the testing page. Your requisition form will be included with the test kit. Remember to bring both the kit and the form with you to the blood draw center. If your test kit was mailed to you, you’ll need to return the kit with your sample inside. You’ll receive a return shipping label and mailing bag for your convenience. Ideally, the kit should be mailed at the beginning of the week to avoid delays. Shipping is free in the US and every test is tax-free. 6. View your test results. Your results will be emailed to you, and will be password protected for confidentiality. Complex testing can take up to 14 days or longer, but turnaround times for most tests are typically three or four business days. True Labs is committed to helping you understand your test results. A functional medical doctor will assist you in understanding, not only your lab markers, but how these markers affect your nutritional status and other factors. This paid service can be added to your cart along with the labs you have ordered. Clink on the scheduling link in your result’s email to set up an appointment time, and a doctor will call you. It’s that easy! Refunds are issued if your order is still being processed, but a 10% fee is required if the test kit has already been mailed. True Health Labs does not directly bill insurance, but you can submit your payment for reimbursement with the CPT codes provided for your test. Autoimmune diseases are on the rise, and extremely common today. Genetic predispositions, low vitamin D, and exposure to chemicals all affect your risk. This panel screens for the top four most common autoimmune disease: Lupus, Celiac Disease, Hashimoto’s Hypothyroidism, and Rheumatoid Arthritis (RA). Hypothyroidism is epidemic in our society. If yours is low, you won’t feel well. Optimal thyroid function is essential for a healthy body and a happy life. This comprehensive panel tests all the relevant thyroid markers, as well as TPO and anti-TG antibodies, which are a risk factor for Hashimoto’s. Lyme Disease is contracted from being bit by a tick, and is characterized by symptoms resembling the flu, including fever, chills, fatigue, and rashes. If caught early it can be treated with antibiotics, however if it becomes chronic, it can lead to long-term medical problems that can be devastating. Polycystic Ovarian Syndrome, or (PCOS), is a female condition that includes high insulin and elevated androgens. It can cause weight gain, unwanted hair growth, acne, and infertility. It is a risk factor for diabetes and high blood pressure. If you have it, you want to know, so it can be treated. Intestinal parasites undermine health in a number of ways, and can cause wide-spread issues like chronic fatigue, asthma, reactive arthritis, digestive complaints, and hives. True Health’s Intestinal Parasites Stool Test screens for a wide range of parasites, including protozoa, flagellates, ciliates, amoebae, and microsporidia. Online lab testing couldn’t be easier and more convenient. It’s affordable and puts you in the driver’s seat of your health, and that’s the way it should be. Set up your account today and take advantage of the variety of tests that will help you take your health to the next level! Have you ordered labs online? Please share you suggestions, questions, and comments below. I did not know that there was even such a thing. If the doctor didn’t order it, well, I thought that was it. Then I come across your site and this article, and I am absolutely amazed that this is an option. I cannot tell you how happy this makes me that I can order my own testing, whether the doctor agrees or not. This is an option that will change everything. Thank you so much for providing such valuable information. It really is amazing. Online testing let’s us monitor our health in an easy way, while saving money in the process! Thanks very much for sharing this very informative article. I certainly have learned a few things about online lab testing. Traditional doctors can be difficult when it comes to arranging tests that we wish to undertake to understand our bodies better. I’m fortunate to have one that lets me track my bloods every quarter, however not all doctors will agree to that. They sometimes prefer to get patients in and out as soon as possible. The online tests will be very convenient. I had never heard of True Health Labs before but I will definitely be checking them out. Sounds like you have an awesome doctor. Online lab testing is both convenient and affordable. Thanks for taking the time to comment! Thanks for this informative and detailed article. I had no idea this service was available. I never like going to the doctor or to labs, though I can’t remember a time I had to wait in line at a lab. I’ve always been in and out. You mentioned that the results are confidential. Do you know just how confidential? Is the only way my family doctor would know the results is if I give them to him or her? And will my health insurance company have access to these results? Of course, if the results are good, no problem. If the results are bad, I guess it would be wise to let my family doctor know, right? I wouldn’t try to hide anything from my health insurance company; I’m just not keen on them thinking they need to raise my premium because I’m low on Vitamin D, if you know what I mean. Good questions Rick. Yes, the results are confidential. They are password protected so only you can see them. They only way your doctor or insurance company can see your results is if you elect to share them.